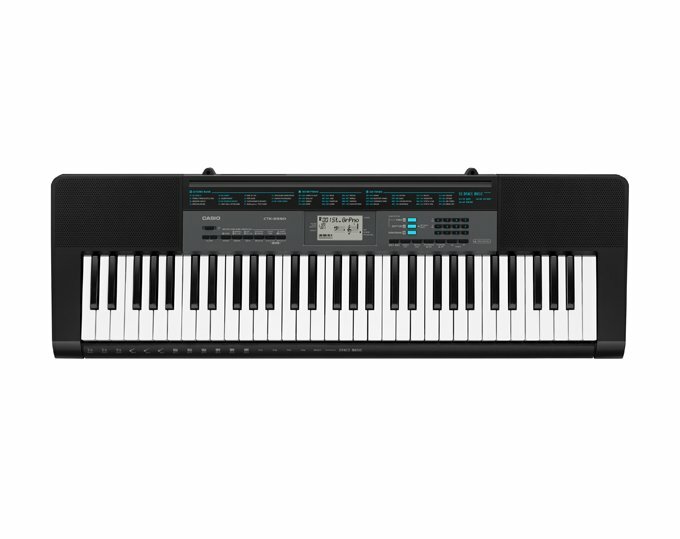 No matter who (or where) you are, Casio’s CTK-2550 portable keyboard opens up a whole world of music with 61 full-size keys, 400 high-quality Tones, and 150 built-in Rhythms including the all-new Dance Music Mode. Whether you’re just starting out, or using batteries to write your next hit on a tour bus, the CTK-2550 delivers hundreds of Tones and Rhythms to jump-start your creativity. It’s a perfect introduction to music-making, and a great-sounding way to have fun. An easy, fun way to explore your musical creativity. 400 great-sounding Tones and 150 fun Rhythms. Dance Music Mode lets you play and remix EDM. Lesson Lite system makes learning music fun. Includes AC adapter, or use batteries to make music on the go.